SETCAN™ Corporation - DTS Tools Products. "Plain Feel" like the real deal! "Plain feel" like the real deal without the associated hazards. 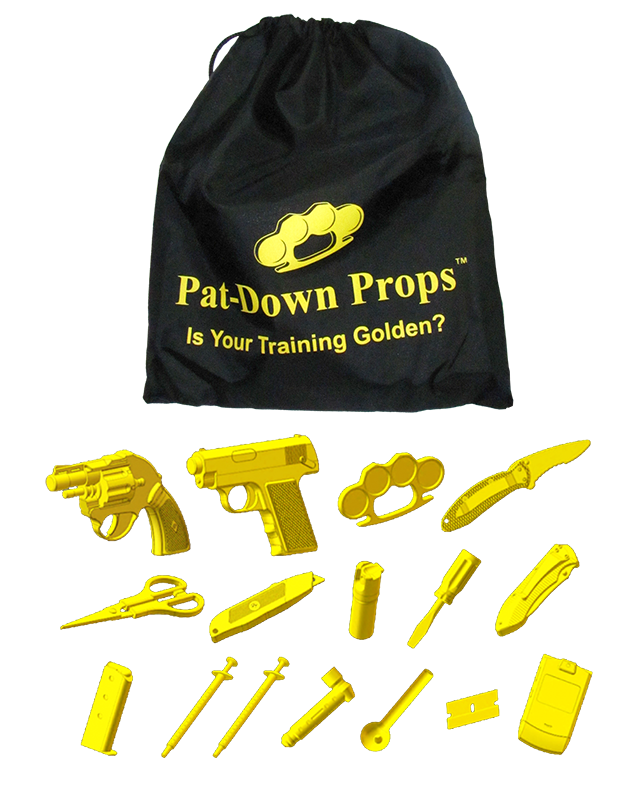 Pat-Down Props� are compact, concealable replicas that are non-functional and safe to use in training where real weapons and contraband are generally not permitted. 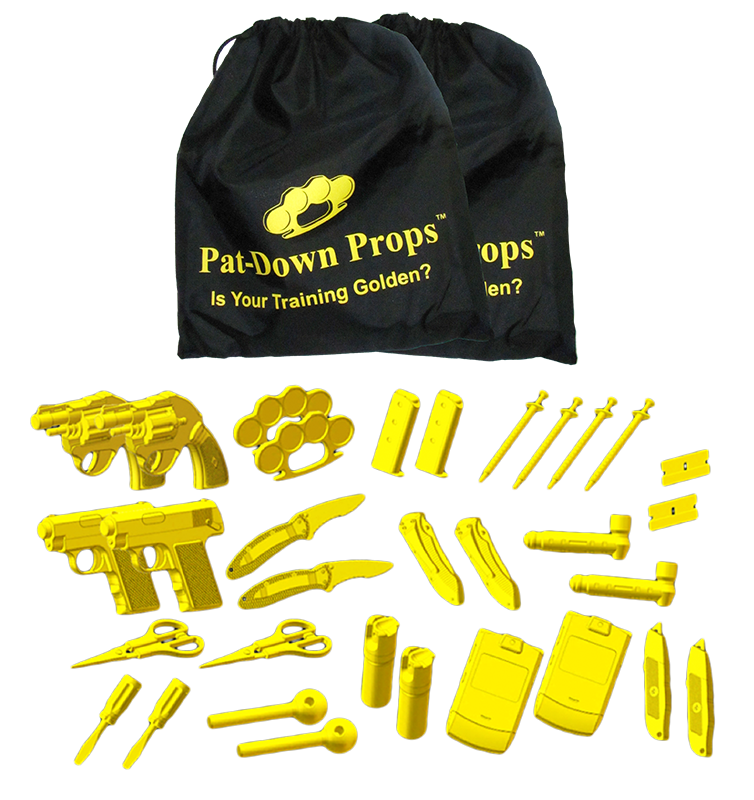 Bright gold colored props allow for immediate recognition of a "training aid" and assist in the visual recovery of these compact items when misplaced. 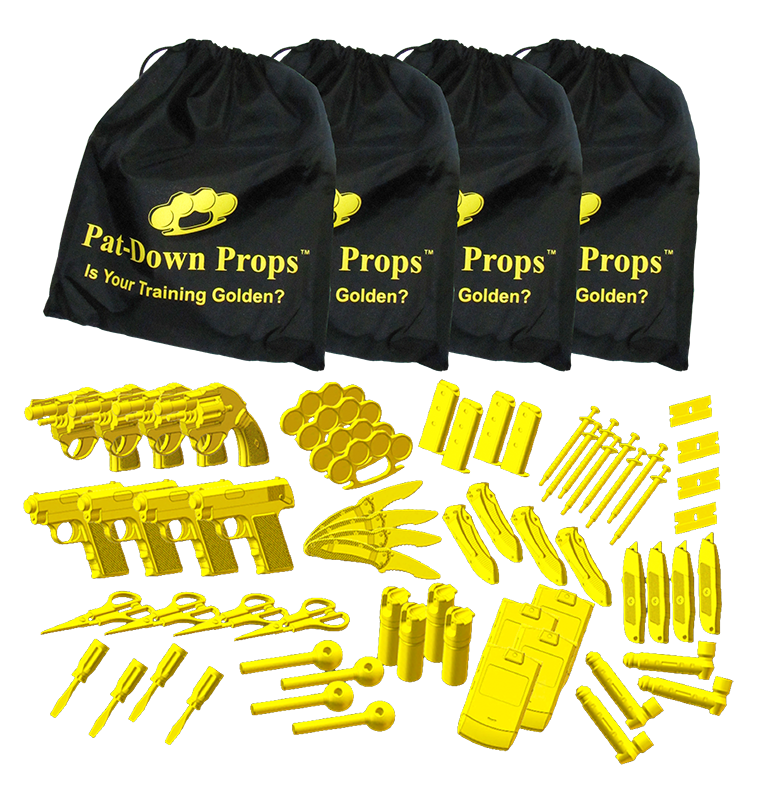 With dull edging, Pat-Down Props� are safer to use and contain no metal parts. 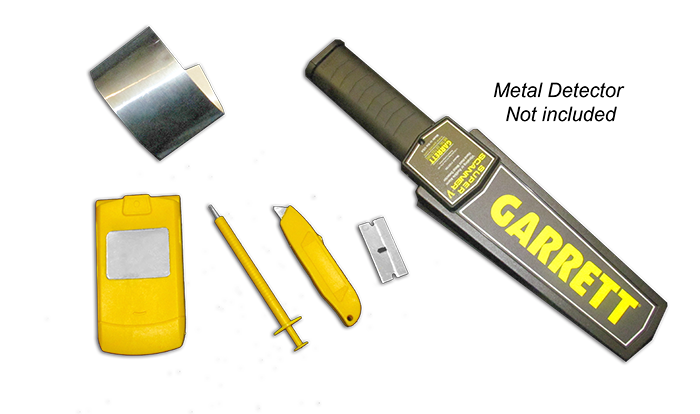 Metallic Tape included to enhance Metal Detector Training.